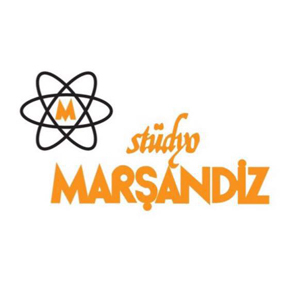 Studio A is the largest room in Marsandiz, and suitable for the live tracking of a large number of ensembles. The control room features an SSL 4048 G+ console with an amazing selection of outboard equipment including a Tube Tech MP 1A mic preamplifier and DI, Tube Tech LCA 2B VCA compressor and PreSonus DigiMax FS eight-channel microphone preamplifier. The fully air-conditioned studio is acoustically tuned and designed, and two windows to the left of the control room provide natural light. A large glass window in front of the control room provides a sightline through to the live room. Studio A also offers an Otari MTR-90III Multichannel Tape Recorder that records and reproduces two-inch master tapes in a 24-track format, and a Samick SG-205 grand piano. There is a recreation room right next to the studio where clients can relax in comfort. Recording and mixing with an SSL console at Marsandiz provides an amazing sound quality and experience, and a certain edge to the sound. The studio features a number of mic choices in a collection including a Sony C-800, AKG C414, Neumann U 87 and TLM 127, AKG C1000 S, Shure SM57, Neumann KM 184, Sennheiser eg 04 drum mic, AKG D112, AKG K 451, Sennheiser K3U, Sennheiser e 604 and Sennheiser MD 441-U. There is also a cafe space at the facility where clients can order food from outside, eat, relax and watch TV. For huge recording sessions, Studio A and Studio B can be used at the same time.